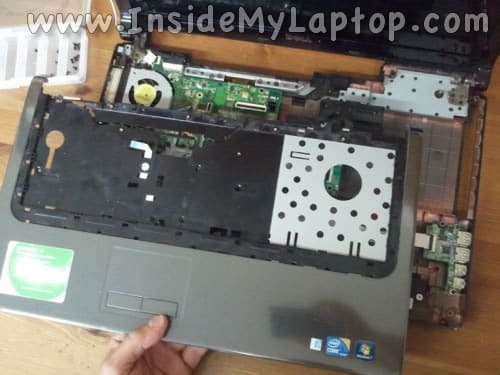 As always, make sure the computer is turned off before you start taking it apart. Unscrew three screws securing the service cover on the bottom. 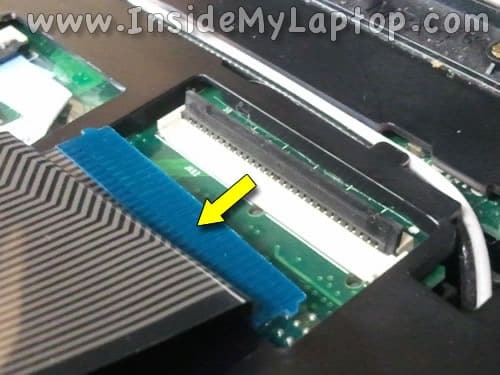 Slid the optical drive to the left to disconnect it from the motherboard. 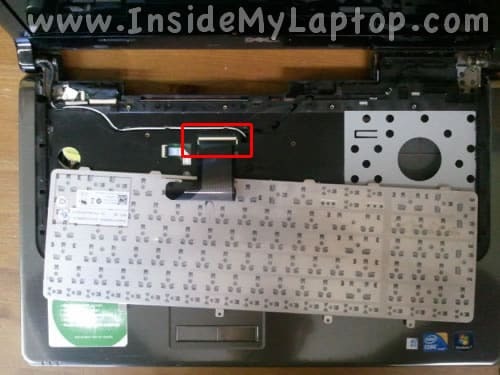 Remove two screw securing the keyboard bezel on the bottom. 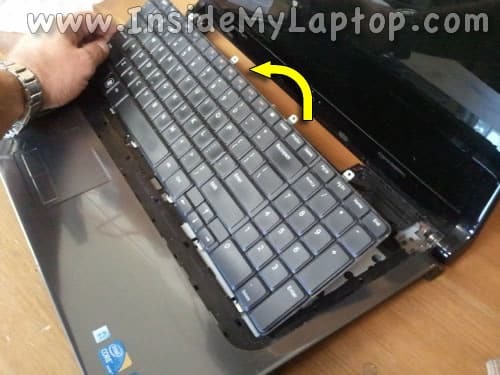 Start separating the keyboard bezel from the top cover. 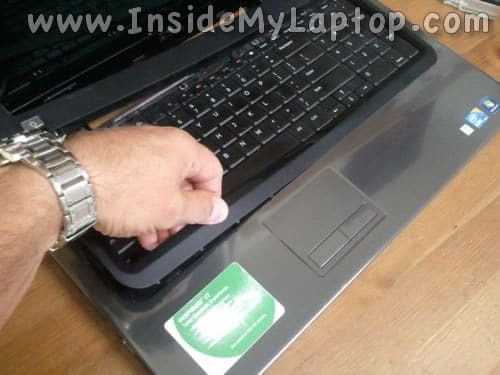 You will have to wiggle the bezel to unlock hidden latches. Be careful. 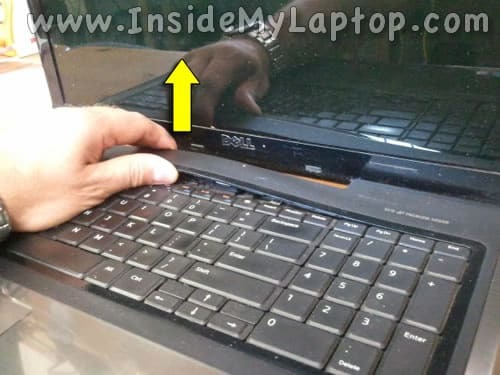 The power button board attached to the keyboard bezel. 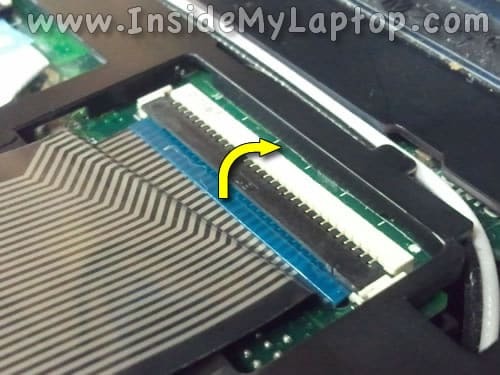 There is a cable connecting the power button board to the motherboard under the upper left corner of the bezel. Lift up the bezel just enough to disconnect the cable from the motherboard. 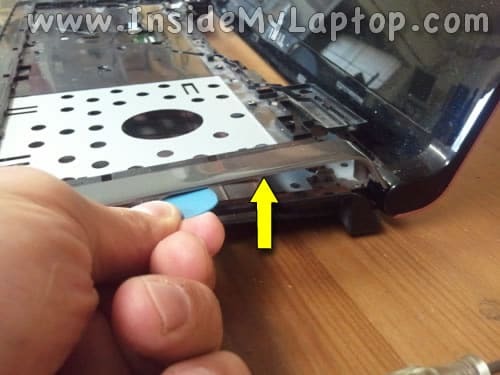 Lift up the left side of the connector retainer (brown) with your fingernail. 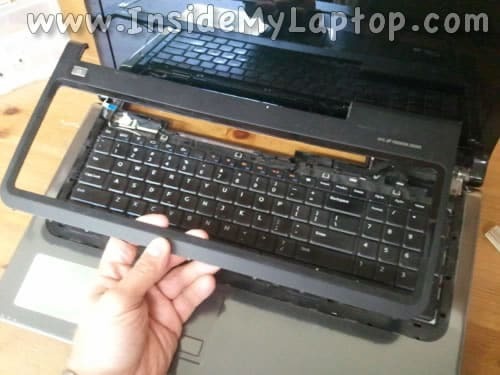 Continue separating the keyboard bezel from the top cover. 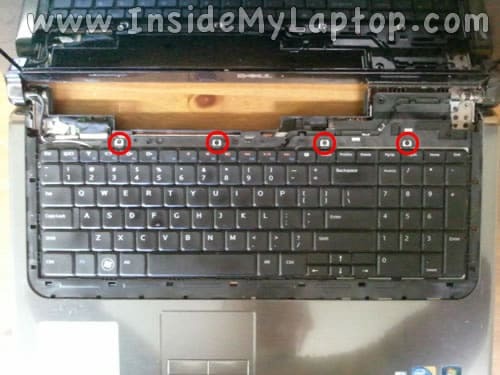 Lift up the upper side of the keyboard. 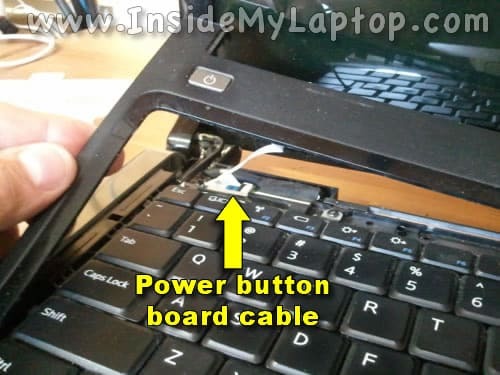 It’s necessary to unlock the connector and release the cable before you remove the keyboard. 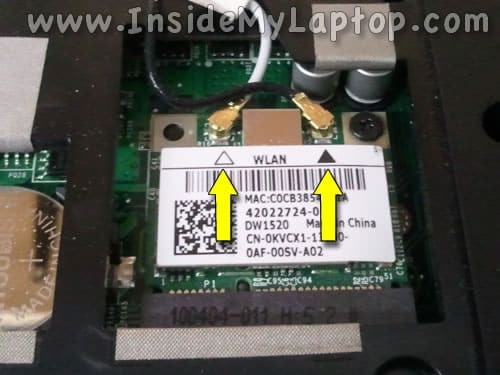 Also, it is necessary to disconnect the antenna cables from the wireless card. 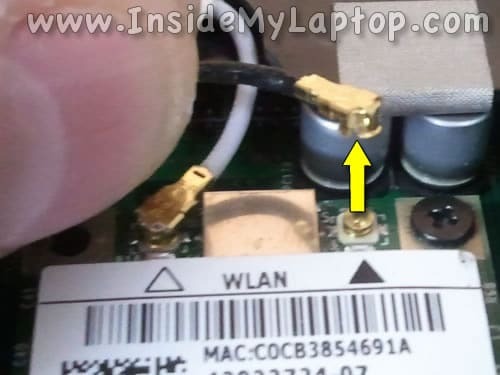 Disconnect both antenna cable from the wireless card. 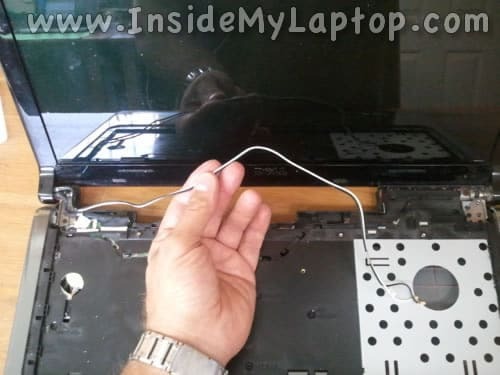 Remove antenna cables from the guided path on the bottom case. 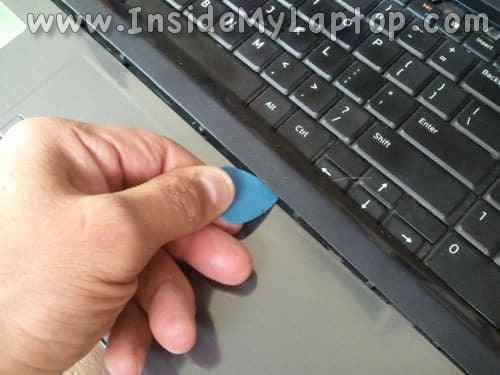 Pull wireless antenna cables though the opening in the top cover. 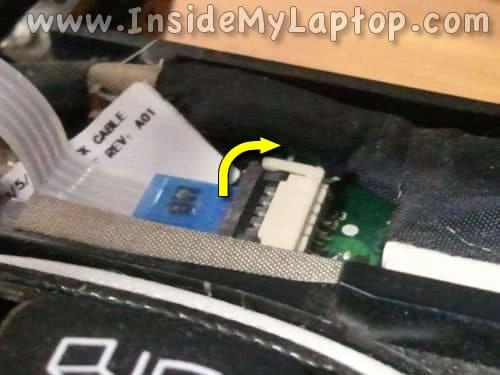 Remove cables from the guided path on the top cover. 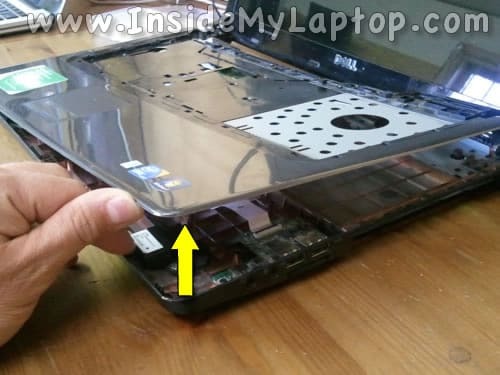 Disconnect the trackpad cable from the motherboard. Here’s the bottom side of the top cover. 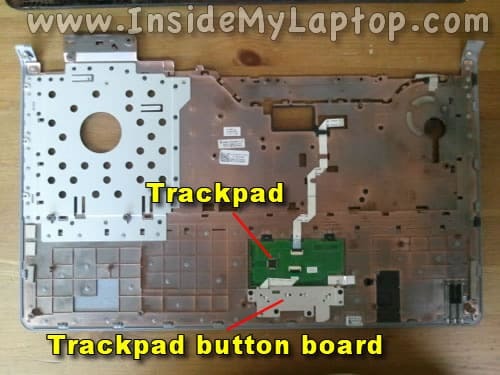 Here you can access the trackpad and trackpad button board. 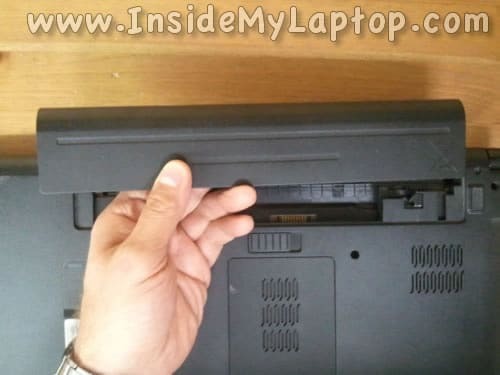 After the top cover removed, you can access the cooling fan. 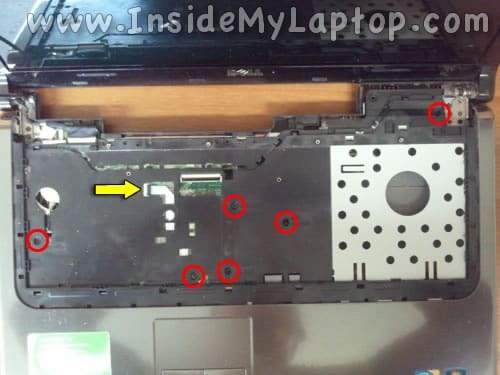 In Dell Inspiron 1764 laptop the fan can be removed and replaced without removing the motherboard. 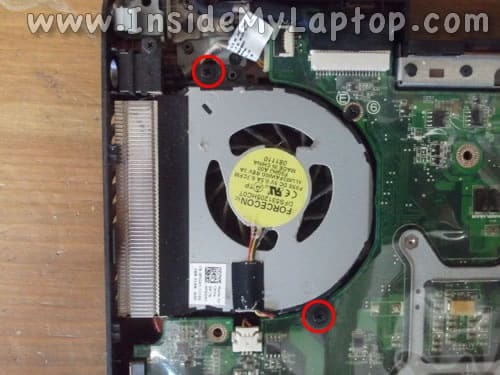 Remove two screws securing the processor cooling fan. 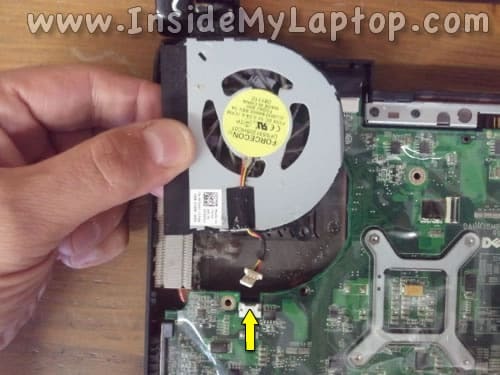 Lift up the fan and disconnect the cable from the motherboard. 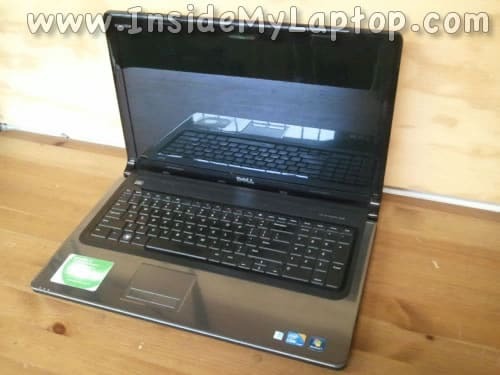 Now the failed cooling fan can be replaced with a new cooling fan. 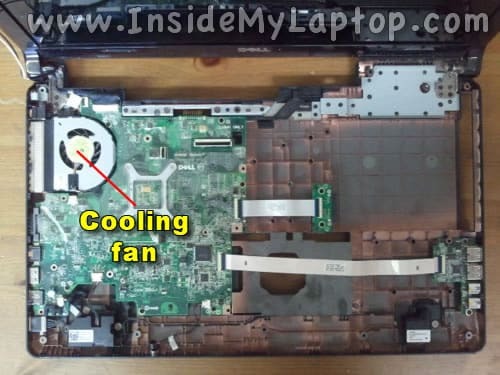 When the fan is removed you can clean up the heat sink. 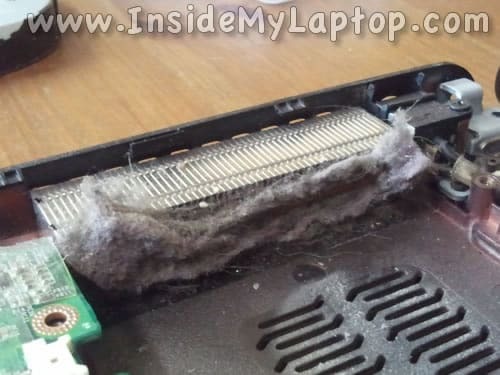 Look how much dust got stuck between the fan and heatsink. 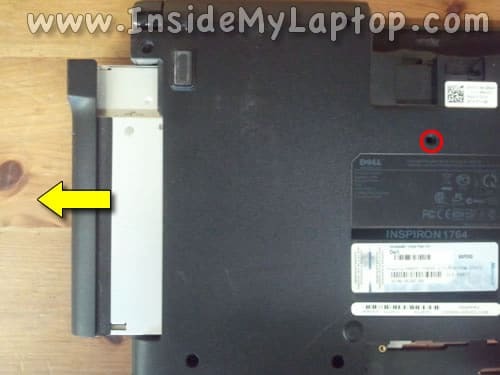 That’s why my Dell Inspiron 1764 was running so hot. Overall this is a great site. 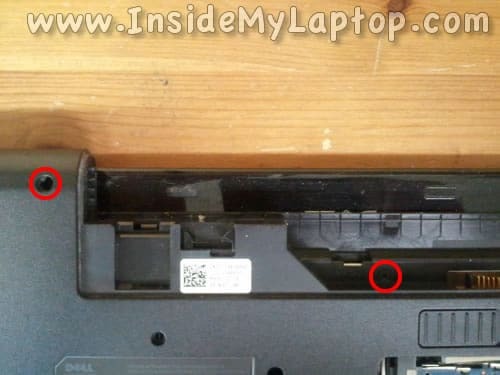 I noticed one problem on http://www.insidemylaptop.com/disassemble-dell-inspiron-1764-laptop/. 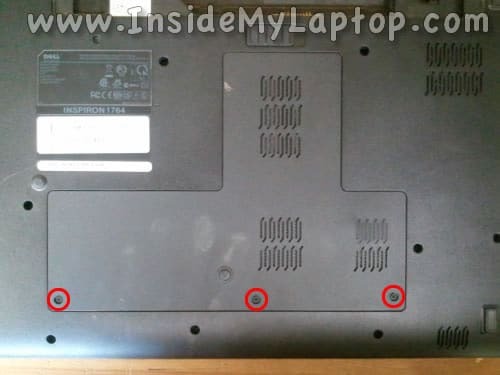 On removing the top cover, you forgot to mention 2 screws that needed to be removed from the bottom. They are located at the top right/left corners. They are essential for the removal of the top cover. Very glad to have found this info and appreciate the time the writer took to create this. Eeww! Same problem here. Lots of cat hair and dust. After doing the cleaning, I decided to add new paste. 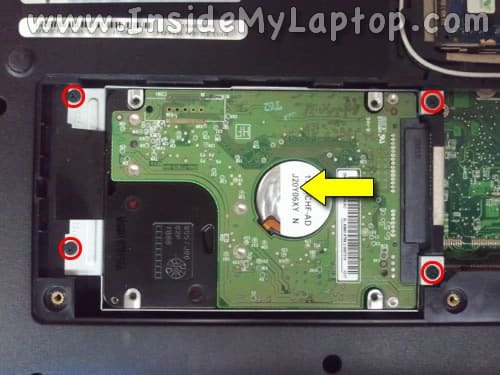 I also noticed new thermal pads were in order. I unfortunately didn’t take a look at the type of pad I would need. Do you happen to know if I can use any or do specific ones need to be used? Thanks. Great job, hoping this will help my 1764, it’s running hot and high cup after 3 – 4 hours. Thanks mate. 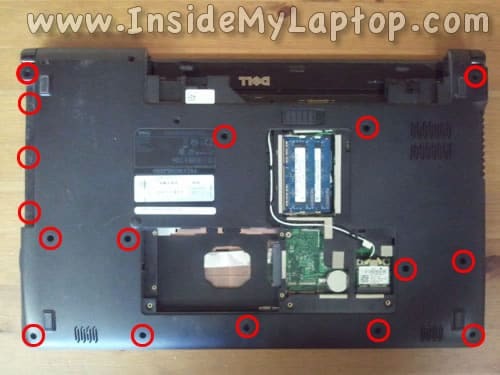 My wife’s laptop was crashing with no explanation and the fan was running constantly, it was also running very slow. Followed you guide and now it runs like new. Wow, Your guide is very well done. Awesome, What else can I say? 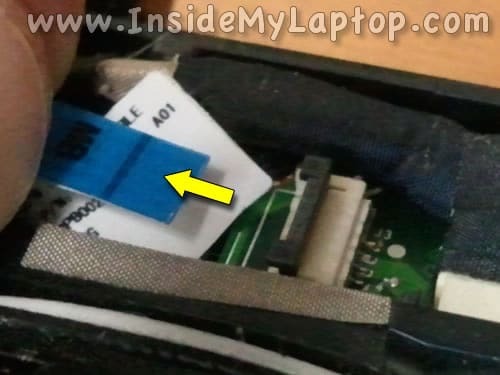 What an incredibly through set of instructions! I am going to try this while on vacation and if it works your are definitely getting a PayPal donation from me! 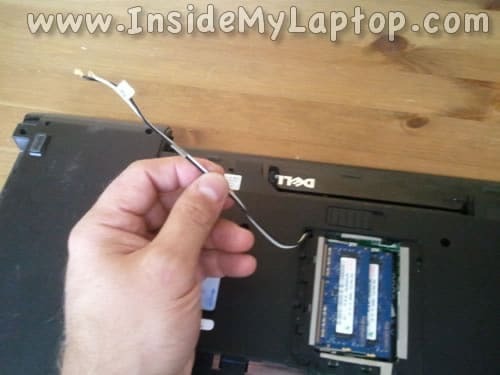 I already know how much a computer repair shop would charge for the labor! Excellent tutorial, mine was running terribly, followed the instructions perfectly and its like new! Thanks so much!